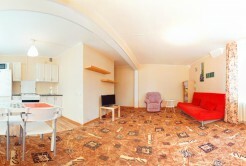 Comfortable, beautiful and functional interior of this apartments in Omsk attracts our guests. And the price of daily rent pleasantly surprises. 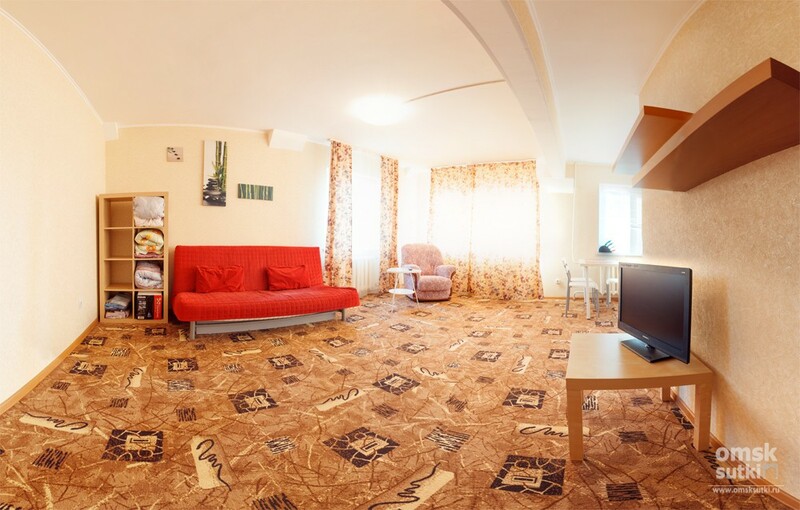 The spacious and brightly decorated living room has a comfortable bed and a TV, also there are modules to store your personal things. A small but functional kitchen is equipped with all necessary appliances and utensils. There is a washing machine in the bathroom. High speed Internet access. There are always clean bed linen and towels.